Did You Develop Diabetes While Taking Medicine for your High Cholesterol? Lipitor and related drugs are often prescribed to people who have high cholesterol. The purpose is to reduce the level of cholesterol in the patient’s blood. Most studies seem to indicate they work for this intended purpose. 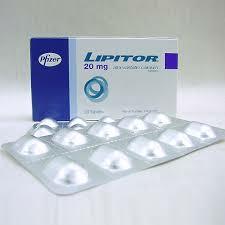 Lipitor is one of a group of anti-cholesterol drugs that are called “statins.” Statin medicines include Lipitor, Crestor, and Zocor. The chemical names for these medicines all contain the word “statin.” Lipitor is atorvastatin, Crestor is rosuvastatin, and Zocor is simvastatin. Lipitor may be prescribed as a generic medicine, under the name “atorvastatin,” which is less expensive than the brand name medicine. All of the statins appear to increase a patient’s chance of becoming diabetic. Follow the timeline of the Lipitor diabetes litigation from beginning to bitter end. What is the Connection Between Lipitor and Diabetes? Medical researchers studied many thousands of people who took statin drugs, including Lipitor. The statistics showed that people taking Lipitor were more likely to become diabetic than people who did not take the drug. Scientists do not yet know exactly how Lipitor and other statin drugs cause diabetes. However, the increased risk seems clear. The increased risk varies depending on the population that the scientists were studying. In some studies, the increased risk was as much as 28 percent. In others, it was only 9 percent. An increased risk means that a higher percentage of people who take the statin drug will get diabetes than those who do not. It does not mean that everyone who takes the drug will become diabetic. The scientific articles showing the increased risk appeared in the medical journals called The Lancet and JAMA Internal Medicine. Those are two of the most highly regarded publications for doctors. The evidence has been accumulating since at least 2008. In 2008, medical researchers noticed that some patients who took the statin drug called Crestor had higher levels of sugar in their blood. In 2010, medical scientists confirmed that the increased risk of diabetes existed for people who took Lipitor. In January 2012, research showed the increased risk to women who had gone through menopause. In 2012, the FDA required the drug manufacturers to disclose the increased risk of diabetes in the information that is provided to patients with their prescription. Are There Additional Risk Factors? The risk of getting diabetes because of taking a statin drug is greater for some people than others. The statistics suggest that women who have gone through menopause have a higher risk as do people of Asian descent. As you would expect, people who have risk factors for diabetes are also at greater risk if they take a statin drug. Risk factors for diabetes include a family history of diabetes and being significantly overweight. What Should I Do If I am Taking a Statin Drug Like Lipitor Now? Obviously, not everyone who takes a statin drug like Lipitor will develop diabetes. Statins are used to reduce the level of cholesterol in the blood. Reducing cholesterol can help to prevent heart attacks and strokes. So, the drugs may benefit patients who are at risk of having a heart attack or stroke. Keep in mind, we are lawyers, not doctors. So, we cannot advise you about your medical care. We can help you understand the legal implications of your medical situation but we cannot and should not tell you want to do. That said, if you are concerned about your risk, you should consult your doctor. Your doctor can evaluate the benefits to you of reducing your cholesterol and the risks, if any, of your developing diabetes or other problems from the medication. That is how it should be. The complaint that plaintiffs' lawyers have that is going to lead to lawsuits is not that Lipitor should not have side effects such as diabetes. Drugs have risks. We all get that. Instead, it is that there should be an adequate warning that explains the risk so consumers can make a choice, a choice that might involve not taking Lipitor or taking another drug. People don't demand that their drugs be risk-free. They demand to know what there is to know about the risk of the drugs they are taking. Where Can I Find Out if I Have a Valid Claim? Our lawyers are currently investigating whether people who developed diabetes while taking Lipitor have a claim for compensation. We are investigating individual cases to determine if a lawsuit is appropriate. The best claims, we think, are going to be women with diabetes. Why? Two reasons. First, there is evidence that Lipitor is less effective in women. Second, the data seems to suggest women are more vulnerable to getting diabetes from Lipitor. We are, however, looking at potential cases for men as well. If you would like us to review your case, contact us online and we will evaluate your case and tell you whether we think you have a claim that may entitle you to compensation. Or call 800-553-8082. What Information Would be Helpful to Understanding My Case? When did you start taking Lipitor? Have you taken another statin drug such as Crestor or Zocor? When did you learn that you had diabetes? What dose of Lipitor did you take? What Is the Latest on These Lawsuits? Right now, the Lipitor claims are not a class action lawsuit but instead are individual cases pending around the country. Right now, there are an estimated 131 plaintiffs in 21 different federal courts. Plaintiffs have found to consolidate these cases. The first effort failed because the litigation was so inchoate that there were not enough claims to justify merging the cases together for consolidated discovery. Plaintiffs argue that there "is now a definite need for centralized coordination of these actions to avoid overlapping discovery and conflicting pretrial ruling, especially since the option of informal coordination has become impractical." The expectation here is that these cases will be consolidated this time. Where? The guess is South Carolina because there is already a large number there. But there is no way to know until the Panel rules. Where Can I Get More Information About the Connection Between Statin Drugs and Diabetes? You can contact our office for more information by filling out the contact form listed above. You can read some of the medical journal articles online, a few of which we link to above. Here a few news articles from Reuters and the Wall Street Journal you might also find of interest. You can get the latest Lipitor lawsuit update here. 2019 Update: These lawsuits never went anywhere. Why? The truth is the science is not there to establish a connection between Lipitor and diabetes. Does that mean there is not a connection? No. What it means is that after a good deal of effort, plaintiffs' lawyers and their expert were not able to point to enough science to prove a connection between statins and diabetes.